Future readers? Will there be any? Not if my experience with my grandsons this summer is a glimpse of the future. They are not interested in reading books. I say, what? I purchased some of their favorite series at a garage sale this spring and was so excited to only pay fifty cents for more books in a series I know they enjoyed reading during the school year. Of course, I picked up a few more I thought they would like too. Can't resist book bargains. Usually after lunch when the boys are at my house, we have a "quiet time." (I dropped using nap time when they were over 2 years old.) 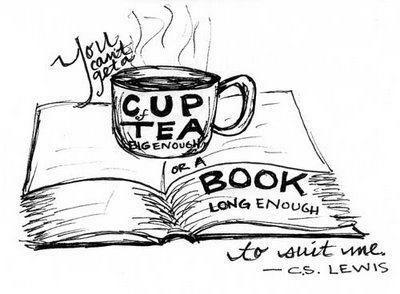 Quiet time is just what it says, a time to be quiet and relax with a book...!! No, they want to be quiet and relax with their video games on the laptop or tablet or my Kindle Fire. They DO NOT want to read. I can understand if they have learning problems that makes it hard for the boys to read and understand a story. Do they think Grandma is a softie and will let them spend all day on video games? Definitely not allowed at their homes. My boys don't even want to make the trip to the air-conditioned library anymore to choose books. They are so resistant to reading I decided to write this blog on the topic. That's how worried I am about the future of reading books. I know the world is changing and in twenty years, there may not be a need for reading? What? Can you fathom a world without story books? Many readers are having trouble accepting electronic books, let alone no books! What can ever replace the joy of sitting in a comfy chair or lying on the couch or hammock, quietly, all alone, spending time lost in the pages of a printed book or clicking through the screens of an e-book? I believe I am more conscious of children's books after writing a book for tween girls, Girls Succeed. My Girls Succeed blog is written for MG and YA readers, so I try to read books for that age level and share my thoughts on them for parents and kids. I also have an interest in books for boys because I have four boys between the ages of 8 and 13. Do you have suggestions for getting kids to read? No, I refuse to pay them to read!!! Are you having trouble getting your kids to read? What can we do to encourage young people to read? Any advice would be appeciated. Looking forward to a fun week as a guest on Lisa Orchard's blog. We swap blogs today! Hobby Hoedown continues on Thursday. Today I am a guest at YA author Lisa Orchard's blog. Come on over. We are discussing how unique each person is and to appreciate the gifts and talents that noone else has. 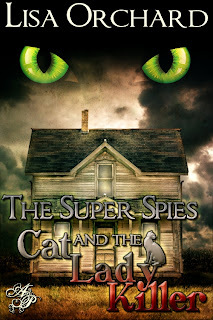 I review Lisa's first book in her Super Spies series, The Super Spies and the Cat Lady Killers at my Girls Succeed blog. I love blog swaps! Ya'all come back on Thursday when author Viola Ryan shares her hobby, painting landscapes. Watch for some beautiful images. I know, I wonder about the future of reading too. I've said it before and I'll say it now - this new computereze language doesn't help either. It teaches children to misspell. How can they read if they only grasp "brb", "idk" "r u ok"...Ugh, that drives me crazy! They need to learn how to read and write correctly again! But yes, video games spoil them. Why should they "imagine" a story when they can see in such vivid detail on a screen? I'm not sure how to spike their curiosity. I will say, though, that Brick on The Middle is one child who LOVES to read. And yes, they've showed him carrying BOOKS and going to a library. I wish he'd inspire kids to copy him. I hope we've not entered a stage of no return for the future generation. Great post, J.Q., and a bit daunting too. Great topic, JQ! I have three boys (ranging in age from 9 to almost-13), so I absolutely know what you're talking about. One facet of this problem, at least for us, is that our school has mandated reading. During the school year, the boys have to read 20-30 minutes a night (on top of their other homework) and keep a reading log. During the summer, they have to read a novel and do a related packet. My oldest used to LOVE to read. Now, it's a dreaded chore, because the school district has made it just one more facet of his homework. There's nothing like killing the joy of reading by telling someone "You MUST read!" Instead of being fun, reading is now work. As for how to combat this problem... that's tricky. Obviously, finding something that interests them and making reading material on that subject available to them can help. One of my boys likes to read fan fiction about his favorite video game character. It's not exactly the finest of literary masterpieces, but it's a start. Anything that encourages them to use their imagination could lead to a greater interest in reading. We like to play "old school" Dungeons and Dragons (the kind where you use guide books and dice, rather than role-playing on a computer). We take turns being the Dungeon Master, and that person gets to make up the story that we then play out. I'm hoping this will someday lead to them willfully picking up some JRR Tolkien! My kids are grown now, but when they were younger, I read to them. I read to them long past the point where they could read to themselves. Of my three sons, two are avid readers and one is not. There is a lot to compete with books these days, JQ. I let my children read in bed, after it was bedtime. They loved it, because it meant they were allowed to stay up a little longer. It got into a routine, and they read every night. Heather, I agree, it's terrible if reading is made a chore. Where's the fun in that? Children should be encouraged to think of reading as fun. If they want to spend weeks on end just reading comics, that's fine too. Comics have great stories. Eventually they will think of all stories as fun, and will gravitate to books. Keep talking of books with enthusiasm, JQ. They will think back on their holidays with you and remember. What a pleasant surprise greeted me when I opened this page...all your comments! I didn't get any emails notices to let me know you all were here! MM--I am with you on the crazy way to spell the messages. However, the language is always changing. I hear the dictionary may allow the spelling of through to be thru and night to be nite. Nothing stays the same. Heather, I know making your kids read for an assignment makes reading a chore. Hopefully the teacher assigns books that are interesting, but I remember those required reading lists. Some of those books were a waste of time for me. I believe reading fan fiction,etc still exercises those reading muscles. Thanks for your thoughts. Margaret, when I taught third grade, I read to the kids after lunch every day..I'd skip math or science or whatever to make sure I would get that time in. The kids loved it and we all cried together every year at the end of Charlotte's Web. Snuggling up with a book in my hands and a child on my lap, now a grandchild, is one of the great joys in my life. Thank you for stopping in. Angelina, yes, yes, I'll look up your book for sure. You KNOW what boys love to giggle about for sure. Thanks! Helena, thank you for your encouragement. I am not going to give up on the reading, but I do want to make it fun for them too. Thanks for visiting!